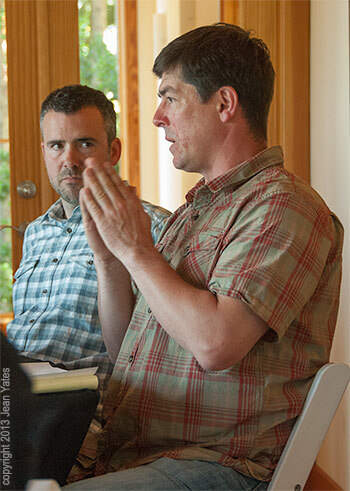 Bringing well-deserved attention to Oregon Chardonnay, the second annual Oregon Chardonnay Symposium was held on May 4th, 2013 in the heart of the Dundee Hills AVA. Participants tasted with eight Oregon winemakers while wine writer Katherine Cole moderated. 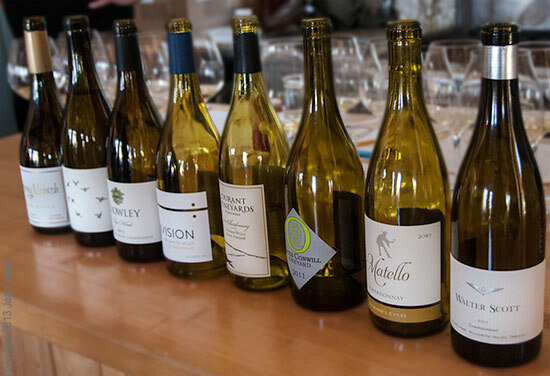 The discussion centered around the question of an “Oregon style” and explored the eight signature styles of each winery’s Chardonnays. The venue, Durant Vineyards’ Red Ridge Farms, is spectacular. One wall of the room looks out over a valley and hills covered with vines, topped by the Domaine Drouhin winery buildings. The farm around the building is covered with lavender and the gift shop featuresOregon Olive Mill olive oil produced by the owners.Some of Oregon’s most exciting winemakers were there: Jim Maresh from Arterberry Maresh, Brian Marcy from Big Table Farm, Tyson Crowley from Crowley, Wines, Thomas Monroe from Division Winemaking CO, Isabelle Dutartre from Durant Vineyards, Jay McDonald from EIEIO & Company, Marcus Goodfellow from Matello, and Ken Pahlow from Walter Scott. These eight deeply knowledgeable independent winemakers’ tiny Chardonnay productions are snapped up by more loyal followers with each new vintage. If the success of Oregon Chardonnay is measured by the company it keeps, the grape is doing quite well for itself. A Signature Style for Oregon Chardonnay? Does Oregon have a signature style of Chardonnay? Hard to know. The two common qualities running through the eight wines tasted were a racy acidity and a distinct minerality. However, six of the eight wines were from the 2011 vintage and the style that dominated the tasting might be more accurately described as the “2011 vintage style” than an overall Oregon type. For example, the 2005 Arterberry Maresh, a wine with both cellar age and from a warm vintage, showed a darker color, density, and intense fruit flavors different from the other wines. Jim was raised on the Maresh family farm, the grandson of winemaking pioneers Jim and Loie Maresh. His mother, Martha Maresh, married acclaimed winemaker Fred Arterberry in the early 80’s. Jim founded his own label, Arterberry Maresh, in 2005 which is an homage to both sides of the family and his talent pays tribute to his predecessors. He has consistently received top scores from Wine Advocate and his wines are found in Avalon’s own top 10 lists year after year. Maresh Vineyard produces some of the most sought after and acclaimed fruit in Oregon, sourced by the likes of Et Fille, Daedalus, and was initially made famous by Lynn Penner-Ash during her tenure at Rex Hill. 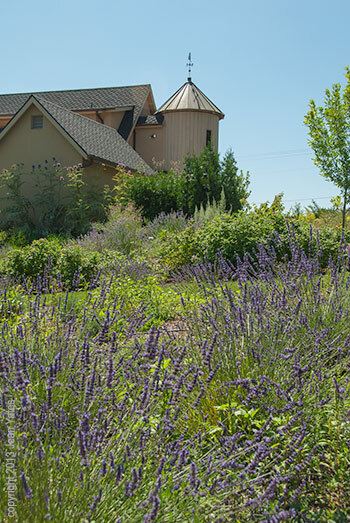 The acreage is a rolling vineyard, converted from fruit orchards by Jim’s grandfather back when there were only five wineries in Oregon and less that 35 vineyard acres planted in the entire state. The Chardonnay was planted by Jim Maresh’s mother, Martha, in 1984. Delicate yet round and substantial, everchanging hints of creamy pear, fresh lemon and lime, minerals, and a haunting note of honeycomb. Barrel fermented in mixed aged French oak (no new oak) to produce a lively wine with a voluminous bouquet of flint, cereal grain, vanilla, lemon and green pear. The palate of this wine is rich with cider apples, beeswax, nougat, and yeast and yet the perfectly balanced acids will carry this wine into the future. The grapes were sourced from five-year-old vines from the Bieze Vineyard in the Eola-Amity hills and 40+-year-old vines from the Wirtz Vineyard in Forest Grove. Wine Spectator gave this wine 91 points! Brian studied fermentation science at UC Davis and apprenticed in four different wineries in California and one in Australia before emigrating to Oregon to start Big Table Wines in collaboration with partner, Clare Carver. Big Table is more than just a winery. Located on 70 acres in Gaston, Brian and Clare raise pigs, cows, meat and egg-laying chickens, they even have working horses. They also have bees which were the inspiration for the label of their Chardonnay – second bottle from the left in the photo above. About to be released (May 2013), the Four Winds Chardonnay shows the unmistakable 2011 vintage character of fresh citrus, racy acidity, and minerality. Crowley Wines was founded in 2005 with a focus on pure, vintage-driven winemaking. Starting at the source, Tyson Crowley and partner Evan Roberts favor older clones of Chardonnay due to their late-ripening nature and acid retention. They work with family-owned vineyards and prefer cooler, high elevation sites. In the winery, their highest priority is to create the most direct evidence of both vintage and place while making elegant and exciting wines. They value purity of expression over stylized wines and hold essential the belief that they cannot improve on nature. They are members of the Deep Roots Coalition, an advocacy group for wines produced exclusively from non-irrigated vines using organic and/or biodynamic farming techniques. When the vines are not irrigated, the roots have to go deeper into the earth and the resulting fruit is more characteristic of its terroir. Four Winds is the newest Chardonnay site that Crowley is working with. It fits the bill for Crowley’s preference for higher elevation vineyards (850′) resulting in lean and striking Chardonnay. Planted 21 years ago with the nation’s first Chardonnay clone known as “Wente”, this vineyard tends to ripen later which means the fruit retains acidity and develops mature flavor character. The vineyard is owned and managed by Jon Steinhardt. The most crisp, citrus-driven of the Chardonnays, a bright, lively Chardonnay so filled with racy acidity, I’d love to pair this with raw oysters straight off the boat down at the dock in Newberg. Tom grew up in the Midwest, attended college in Denver and worked in banking in San Francisco before making the move to live in France for a year. Inspired by the wineries of the Loire, Beaujolais and Burgundy regions, he creates sustainably farmed Chardonnay (as well as Pinot noir, Gamay and Rose) using minimally invasive winemaking practices. Eola Springs Vineyard is a dry farmed vineyard, while not certified, is now farmed sustainably under the care of long time vineyard manager, Paul Futrell. It was initially planted in 1972 and is a good source of old vine Pinot noir grapes as well as Chardonnay and Pinot Gris. The Chardonnay was planted in 1981from self-rooted stock. Methven Vineyard is a newer vineyard, planted in 2002, and is mostly Pinot noir but also Chardonnay, Riesling and Pinot Gris. Tremendously appealing, perfume of orange blossoms, nectarine and baby powder in the scent, flavors of citrus, pear and mineral. Balanced acidity, long citrus and stone fruit finish. Memorable, maybe even unforgettable. Isabelle studied winemaking for five years at the University of Dijon in Burgundy, France, followed by hands-on study in the vineyards and wineries in several of France’s most well-known wine regions. She became head winemaker at Oregon’s De Ponte Cellars in 2001. In 1973, the Durant family planted their first vineyard in the Dundee Hills. The Durants have grown Chardonnay in the Dundee hills for over 35 years. The Raven Vineyard Block use the make this wine was planted in 1993 with Burgundian Dijon Clones that are more appropriately suited to the Northern Willamette Valley than are other varieties. The Durants are among the pioneers of Oregon grape growers and still produce outstanding fruit for some of the premier wineries in Oregon, including Domaine Drouhin, Sokol Blosser, Lange Estate, Bergstrom, Ponzi Vineyards, Hamacher, ADEA, Cottonwood, White Rose and Owen Roe. In 2003 they began crafting small lots of wine under their own Durant Vineyards label. The vineyard is tended extremely well and is located on the “gold coast” of the Dundee Hills AVA off Breyman Orchard Road. There is just something about older vine fruit from vineyards along that ridge. Other vineyards in the immediate area include Eyrie (next door), Domaine Drouhin, and White Rose. Jay McDonald’s EIEIO & Company is basically a one+ man operation. He has an assistant winemaker, Sara Berber, and a few volunteers, but that’s it. 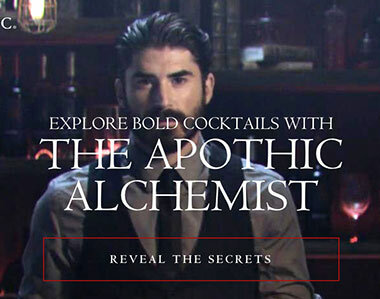 He got into the wine industry in a roundabout fashion. In 1995 he purchased and restored the old bank building in downtown Carlton and opened a tasting room for other wineries to sell their wines. As a result of that, various winemakers gave him opportunities to try his hand at winemaking and he caught the bug, starting his own label and growing his winery to a 2,200 (plus or minus) case operation. The name of his label comes from the nursery rhyme” Old McDonald had a farm……”. The Yates Conwill Vineyard shares a hill with Resonance Vineyard in the Yamhill-Carlton AVA and rolls from east to west in a series of south sloping waves. Sustainable farming practices are used to grow Pinot noir and the Dijon 76 and 95 clones of Chardonnay. The owners’ vision is simple and, perhaps, reveals an affinity for Star Trek: “To grow where no man has grown before”. Marcus’s deep knowledge of wine and winemaking began at Portland’s Heathman Hotel, where he rose from bus boy to wine expert. He developed his skills working closely with Amy Wesselman and David Autrey of Westrey Wines. His philosophy of winemaking is to “let it be.” He allows the natural beauty of the fruit to take center stage and builds a perfectly balanced wine around its natural revolution, without manipulation. Marcus does not alter the young wine’s fermentation with yeast, and he uses little new oak. Oak is used for aging to add texture rather than flavor, allowing the fruit to predominate. His process results in wines that allow terroir to shine through. His Matello is an “Insider” winery worth getting to know. Whistling Ridge Vineyard was founded in 1988 and is located on two sites in the Ribbon Ridge AVA near Newberg, Oregon. In 1989, they planted a block of Chardonnay 108 clone which has since been replanted with 96 and 75 Dijon clones. The first harvest was in 1992 when the Chardonnay was sourced to Cristom Vineyards. Now 20+ years old, these vines are producing some outstanding wines. Subtle hints of lemon, white flowers, nectarine with an herbal, savory note in the nose. Flavors on the palate suggest white peach, nectarine and lemon zest, the wine is medium bodied with good viscosity and acidity lending to the brightness and complementing the length of the finish. Ken Pahlow’s knowledge of Burgundy was nurtured during his ten years representing French wines at one of Oregon’s top Burgundy distributors. 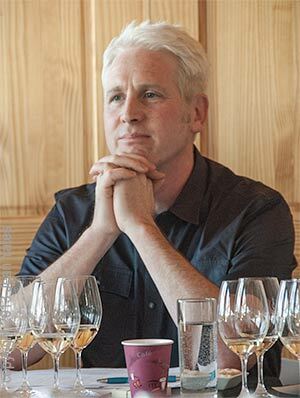 He was Oregon Sales Manager for Evening Land Vineyards in 2009, working with owner and Burgundy expert Mark Tarlov and star winemakers Isabelle Meunier and Dominique Lafon. Before that, he was at St. Innocent for 14 years where he worked in marketing, sales, and in the vineyard and winery making wine. Today, Ken still has a “day job” with an Oregon wine distributor. The Vojtilla Vineyard is a 22-year-old vineyard on Ladd Hill in the Chehalem Mountains, the Chardonnay off of this site is incredibly linear and bright. The Bieze Vineyard sits directly above the Seven Springs Vineyard on Lone Star Road and shares a fence line with it. It is a breathtaking vineyard. I do believe there is a signature style of Oregon Chardonnay. For me, it’s a style that features balance. The wines are barrel fermented, but not heavily influenced with new wood, flavor ripeness takes prominence over sugar ripeness, and acidity is prized over alcohol. I feel Oregon’s signature style reflects many of the tenets of the Slow Food movement. The wines take patience and detailed care, but the fruit expression comes from the vineyard. It’s important to remember that a “signature” style isn’t the only style of Oregon Chardonnay or that our signature style could never change. There are plenty of delicious stainless-steel fermented Chardonnays produced here, as well as some buttery barrel driven wines. It’s also important to note that I have not mentioned soil at all. To me, soil is expressed regardless of style, and falls in the realm of terroir rather than style. Style is really a cultural choice of how best to express the terroir. I also feel that for Oregon to have a signature style for Chardonnay requires some history. When Oregon was first planted, there was quite a bit of Chardonnay. Much of it has been ripped out and replanted to other grapes for various reasons. As it was torn out the percentage of Oregon wineries who refused to give up making Chardonnay became heavily weighted with people who simply love the grape. Most of those wineries seem to have been most heavily influenced by, and aspire to making, wines in the fashion of the Chardonnays from Burgundy. As they stuck with it and became more adept at handling the Chardonnay grown here, the wines became more and more compelling. Wineries such as Westrey, Cameron, Eyrie, St. Innocent, DDO, and Brickhouse have been focused on Oregon Chardonnay for many years. Not surprisingly, these wineries have been spawning grounds for many of the small rising star producers who composed this years Chardonnay Symposium. I made the first four vintages of my wines at Westrey’s winery, and was heavily influenced by their Chardonnay as well as those of Cameron Winery. The biggest reason why there might not be a signature Oregon style would be vintage variability. We have such diverse growing conditions from year to year that the wines can sometimes seem drastically different. What I see happening in this regard, is producers learning how to accommodate big swings in climate in order to still express the vineyard as honestly as possible. There is a core belief in balanced wines and we’re making choices in the vineyard and in the cellar that will give us the best probability of producing the wines we love. That’s really how it works in Burgundy as well so I think that, while there may be a difference between one year and the next, as we look at Oregon Chardonnay over decades the signature style holds its own against the weather. 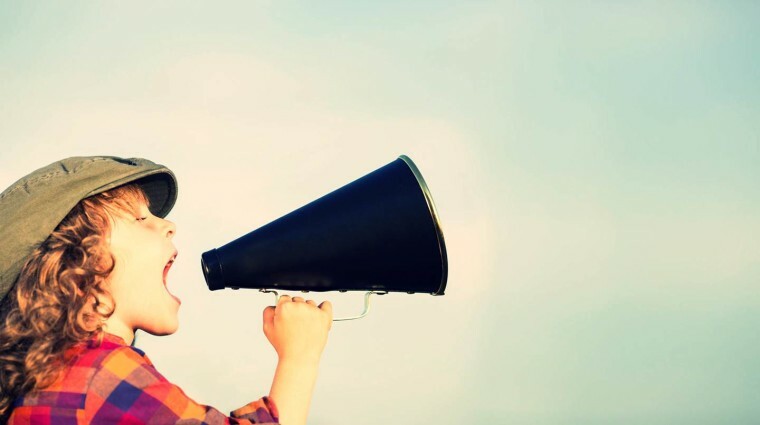 Helping Oregon wineries sell more wine with 25 years marketing experience as owner of Avalon Wine. 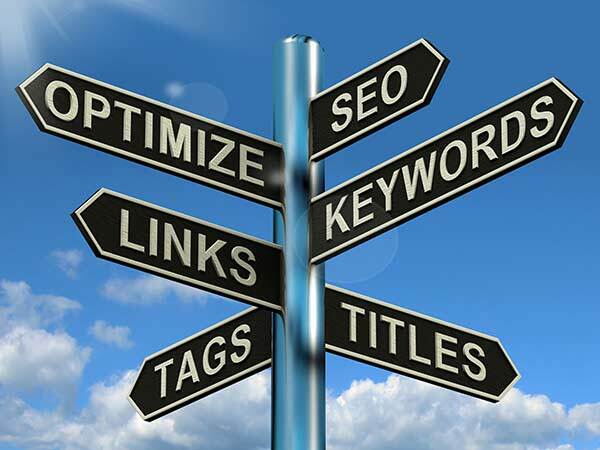 Increase sales with best visibility on the web and an effective website and email campaign.